Think it’s impossible to achieve Zero Waste on your college campus? The University of California, Irvine took the challenge head-on. 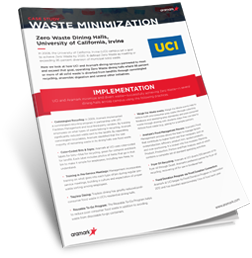 Find out how UCI and Aramark successfully achieve Zero Waste in several dining halls across the West Coast campus.